Defending champion Cameron Smith made his move to keep Marc Leishman at a distance during the third day at the Australian PGA Championship at Royal Pines Resort on the Gold Coast. Smith has widened his margin to three strokes after firing a 5-under 67 to add to his opening rounds of 70-65 to be at 14-under. 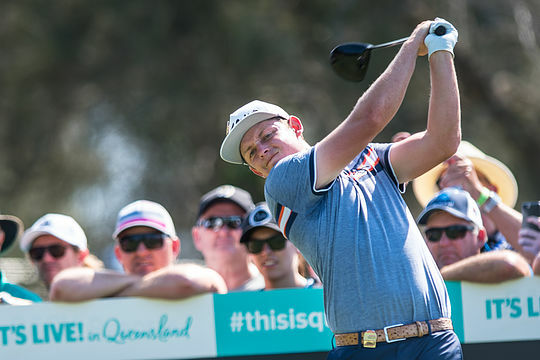 Smith, who teamed with Leishman to help Australia claim a share of second place at the World Cup of Golf last Sunday in Melbourne, began strongly with a two under opening nine but was explosive over the back nine with three more birdies in a flawless 5-under 67 for the equal best round for the day. Smith is seeking to become the first player to record back-to-back PGA titles since Robert Allenby in 2000 and 2001. Leishman fired a third round 3-under 69 to add to his opening rounds of 68-68 and remains within striking distance. Matthew Millar, American and former Australian PGA Champion Harold Varner III share 3rd position at 7-under. A solid finish at these championships for Millar could possibly see him with a start at next year’s Open Championship and three World Golf Championships should he take out the Australian Order of Merit. Millar is sixth and $84,000 behind Order of Merit leader Jake McLeod, with the winner of the $1.5 million Australian PGA to pocket more than $200,000 on the Gold Coast this week. McLeod, who shared the opening round lead on Thursday, fell away during the closing stages of today’s round with four bogeys to finish with a 75 and drop into a tie for 8th. McLeod leads the Order of Merit over Daniel Nisbet, who missed the cut, Daniel Quayle, who shot a third round 75 to also fall out of contention, James Nitties, who did not make the weekend, and Dimi Papadatos, who ties with McLeod at 8-under. Potentially either McLoed, Papadatos or Millar can take out the Order of Merit and this will see a competition within a tournament for the prized top-order spot.